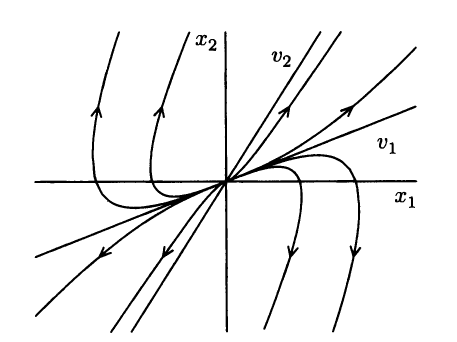 Is there any method to construct phase plane diagrams directly in latex? 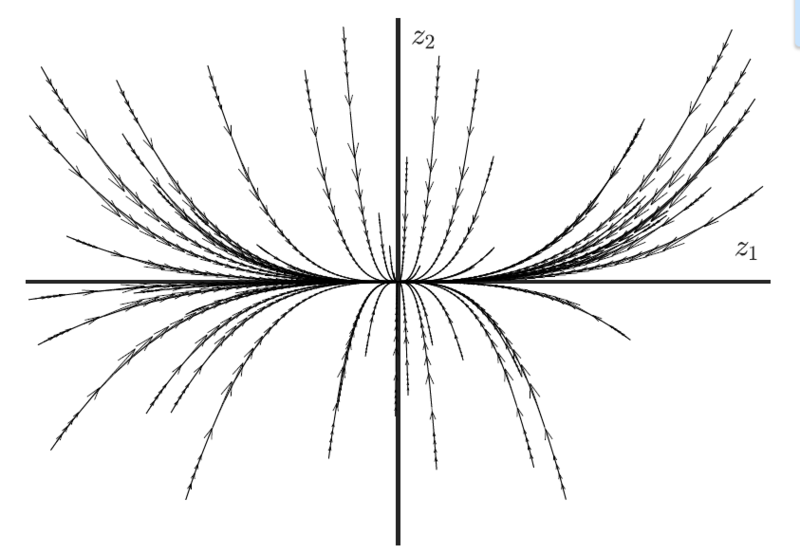 I want to sketch plots like these based on eigenvalues of a matrix. For e.g., if both the eigenvalues of a 2-by-2 matrix are real, distinct, and negative, this plot should result (which I have drawn in MATLAB). How can one add bent arrows to a path? 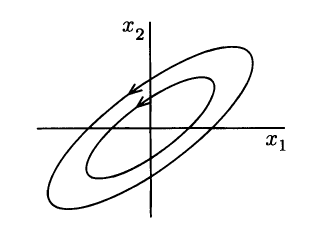 How can one guess the parametrizations of the curves (RG flows?) you show. As for 1., I am using these styles, and as for 2., I quickly guessed something that looks similar. Not the answer you're looking for? Browse other questions tagged tikz-pgf pgfplots tikz-graphs or ask your own question.